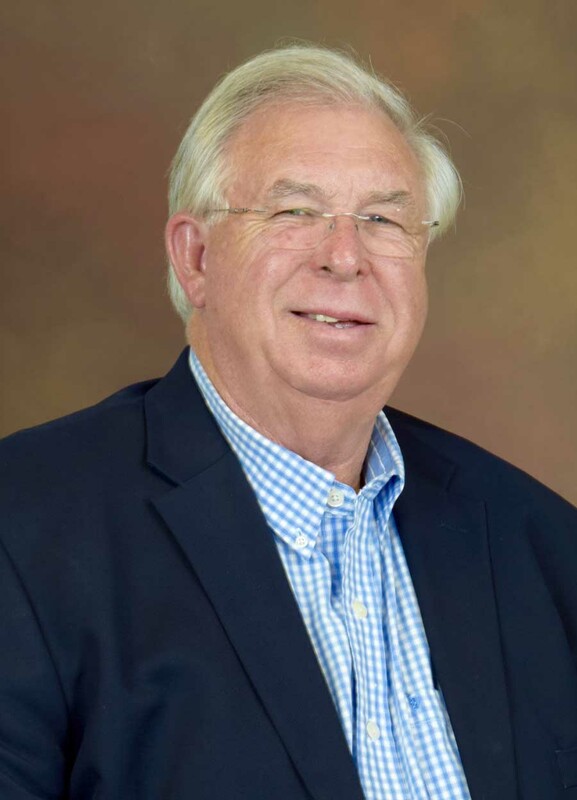 Cullen Bryant, a Dillon County farmer, received the South Carolina Farm Bureau’s highest honor, the Distinguished Service Award, at the SCFB’s 73rd annual meeting’s awards and recognition program. Bryant has contributed largely to SCFB through his countless hours of dedication and selfless volunteerism to South Carolina agriculture. Bryant is a leader in agriculture technology and loves to invite anyone to his farm to teach them about agriculture. Bryant grew up on a farm and was a fertilizer salesman for 15 years. He recalled that in 1985 he went by to visit his parents. He walked in, and he saw that his parents were very emotional. He thought there was a death and asked what was going on. His mother told him they were losing everything. Bryant said it was a shock to him, but he knew they had been struggling. His mother had a great deal of sickness in her life, and his dad was too good for his own good. He told his mother before he left that he would do something. Bryant talked to his brother and two sisters to see if they had any interest in the farm because he did. Bryant assumed all of the indebtedness of the farm, and he was in the farming business. Today, Bryant farms over 1700 acres. He has been an innovator, willing to try new things. For example, in 2001, he started using GPS when it was in the early beginnings of being used on farms. Bryant is a mentor who is very willing to share the story of farming. He enjoys enlightening people of all ages about agriculture in South Carolina. He finds it very rewarding to educate people about where they get their food and fiber. He also hosts farm tours. Bryant provides a specially produced book about character development that he gets for every second grade student in the Dillon Schools. Bryant is an active Farm Bureau member just like his father, who was a past county president. As the current chairman of the SCFB legislative Executive Committee, Bryant was a driving force in getting the Farm Aid Bill passed. Bryant also helped establish the Agribiz and Farm Show in Florence, one of the finest agricultural trade shows in the Southeast. Bryant is a member of numerous farm organizations and has received numerous awards and honors including the American Soybean Growers Association’s prestigious Conservation Legacy Award. Locally, he is the only farmer to serve as chairman of the Dillon County Chamber of Commerce, has been recognized as the Dillon County Farmer of the Year, was a recipient of the Friends of Extension Award for Dillon County, and was the Dillon County Outstanding Conservation Farmer. Bryant is a member of Bermuda Baptist Church where he has served in various capacities. He is a Mason, a Shriner, and enjoys restoring and collecting antiques. He is a family man. Bryant is thankful to God to have the opportunity to be a farmer and be involved in agriculture. He feels it is important for farmers to leave a legacy that gives future generations the opportunity to enjoy nature and the abundance of the earth.